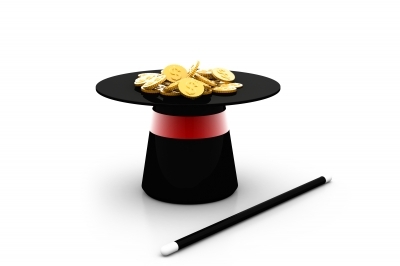 What Can Scientists Learn From Magicians? 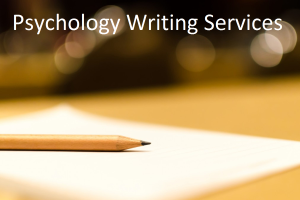 | What is Psychology? It’s certainly true that a skilled magician can control your attention so completely that, even though a trick is being performed under your nose, all the sneaky stuff that makes the magic work occurs just outside your narrow viewpoint—as if beyond the edges of an imaginary television screen. [showmyads]In addition, a talented magician can – through word and gesture – cause a spectator to misperceive and/or misremember the reality of a situation. This approach, which influences your thinking rather than your visual apparatus, is extremely powerful. In the aftermath of a magic show it’s very common for audience members to wildly distort the magic they have just witnessed. While some of this is the artistic license of a storyteller, much of it represents a genuine misremembering of the “miracles” they have just witnessed. Even so, for many people the idea of “dove-stuffers” collaborating with scientists seems beyond bizarre. So what exactly, if anything, can scientists learn from magicians? In a 2008 article in the science journal Nature, Macknik and Martinez-Conde concluded: “If neuroscience researchers succeed in adopting magical methods with the same alacrity as professional magicians, they too should be able to control sensory awareness precisely and in real time, while at the same time assessing the neural activation that is associated with it.” Okay, you’ve got my attention, amaze me! So the central argument is that, by studying magicians and appropriating their methods, scientists will be able to manipulate attention and cognition in order to map out novel neural pathways. However, to effectively study a magician’s methods requires insights that extend way beyond a neuroscientist’s or psychologist’s areas of expertise. To date, much of the work that has been published on the neuroscience of magic has involved honing in on one marginal feature of extremely complex sleight-of-hand. The neuroscientific explanation of why the trick is deceptive then becomes all about this one, often tangential, subtlety—which, coincidentally(? ), happens to match the scientist’s area of expertise. For example, neuroscientists have discussed at length the “retention of vision” aspect of a coin vanish. Namely that, if a coin catches the light as a magician’s fingers close over it, there is an after-image which gives the impression that the coin is still in the magician’s hand after his fist is closed. However, in truth, most of the methods that magicians use to vanish coins don’t employ this retention of vision ruse. In addition, if a magician places a coin in his right hand and it “vanishes,” even a child will immediately ask to see the conjurer’s other hand—no matter how good the retention of vision. Furthermore, there is a strong school of thought that advises against using retention of vision because it draws attention to the coin at the exact moment that the magician does the secret move. For mind scientists to have any hope of “adopting magical methods,” they need a far deeper understanding of these broader issues. So how about we cut out the middle man and invite the wonder worker into the laboratory? Asking experimental subjects to watch a magician perform while scientists record the direction of their gaze with eye-scanning technology seems like an excellent way to tease apart aspects of attention and cognition. And, indeed, in a landmark study (the first attempt to correlate a physiological parameter with the perception of magic), participant’s eyes were tracked as they watched a magic trick. In this study, using a technique known as “lapping,” a magician made a cigarette “vanish” while actually dumping it into his lap. (FYI: Should you wish to recreate this experiment at home, the cigarette was unlit.) This study attempted to differentiate between gaze and attention. Were the subjects fooled by the trick because they were simply looking in the wrong direction when the cigarette was offloaded, or were they looking in the right direction but not attending to the secret move? The authors concluded that the conjurer diverted the spectators’ attention, but not necessarily their gaze. In other words, even if the participants were looking in the right direction at the moment of the sneaky move, their attention was elsewhere and so they missed the cigarette dump. However, any study employing magic in this way is confounded by one crucial factor. The experimental subjects are knowingly watching a magic trick and being asked to self-report on whether or not it fooled them. Here’s the problem: What about subjects who don’t see the dump of the cigarette, but figure out where the cigarette must be hiding? (This is another example of the common reasoning that, if the “vanished” coin isn’t in the magician’s left hand, it must be in his right.) How do the researchers distinguish between fooling both the eye and the mind, and fooling the eye but not the mind? This is especially relevant with experiments that employ unsophisticated magic tricks because, while this makes for relatively simple analysis, the tricks are also easily figured out. However at times, when psychology meets prestidigitation, the results are truly magical. In this study, male experimental participants were shown pictures of two female faces and asked to identify which of the two women they found the most attractive. Then, unbeknown to the participants, the researchers then sneakily switched out one picture for the other. Curiously, 74% of the participants failed to notice the switch and happily explained the reason for their aesthetic choice – even though they were justifying a choice that they never actually made. The researchers named this phenomenon “choice blindness.” It’s of interest to us because the scientists switched the photos using a simple, easily executed technique taught to them by a talented Swedish magician called Peter Rosengren. A skilled magician like Rosengren has an eye for simple, yet robust, methodologies. His expertise enabled the switch of the photos in a way that avoided the kind of heavy-handed distraction of the participants that is common in research labs and can trigger suspicions that some kind of skullduggery is afoot. So it’s not all smoke and mirrors. Even so, for Macknik and Martinez-Conde’s bold vision to ever become a reality, lines need to be redrawn. Understanding magical methods requires an interdisciplinary approach; not the limited analysis of the lone wolf scientist. Secondly, for cognitive scientists interested in using the magician’s tools in a laboratory setting, it makes sense to consult magicians during both the design and analysis phases of a research project. Much is hidden up the conjurer’s sleeve that would benefit science. It would be a shame if, when the magic happened, the scientists were looking at the wrong hand. Johansson, P., Hall, L., Sikstrom, S. & Olsson, A. (2005). Failure to detect mismatches between intention and outcome in a simple decision task. Science, 310, 116–119. Kuhn, G. & Tatler, B. W. (2005). Magic and fixation: Now you don’t see it, now you do. Perception, 34, 1155-1161. Macknik, S. L., Martinez-Conde, S. & Blakeslee, S. (2010) Sleight of mind: What the neuroscience of magic reveals about our everyday deceptions. New York: Henry Holt and Company. Nature Reviews Neuroscience | AOP, published online 30 July 30, 2008.